Give your living room a modern makeover with the Valsa Composition 2012-007 from Tema Home. This bookshelf can help transform any living room's decor, as it features an innovative design that allows you to maximize your storage space. It also can help you organize your books and other media however you choose in a sleek, exquisitely constructed unit. 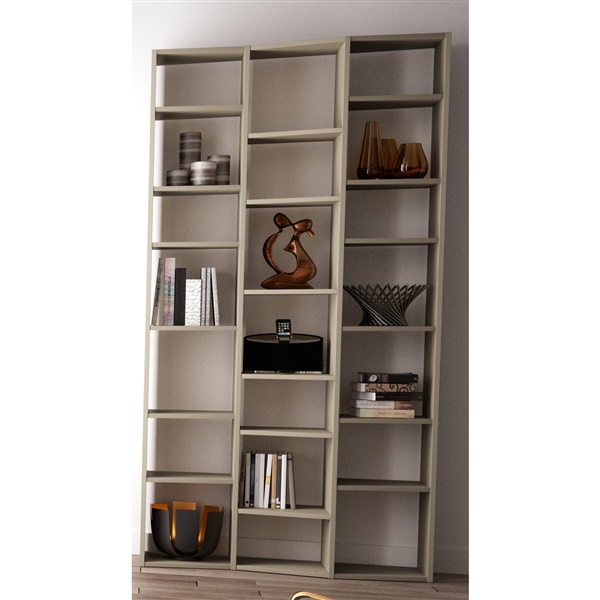 Take advantage of a deluxe bookcase that is built to last -- the Valsa Composition 2012-007.